In last year’s summer budget the chancellor, George Osborne, announced his intention to provide additional relief from Inheritance Tax. 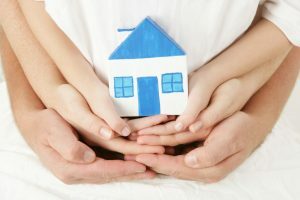 Many had hoped he would simply raise the threshold before IHT becomes payable as this would be very simple to understand but the concept of the ‘Residence Nil Rate Band’ (RNRB) was introduced instead. 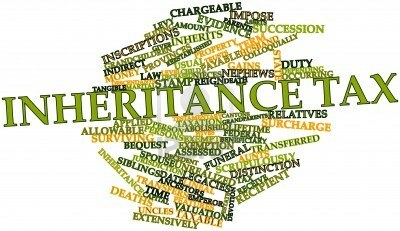 Currently, when someone dies, the first £325,000 of their estate is free from inheritance tax (IHT). This is the nil-rate band (‘NRB’). To reduce the amount payable any gifts made in the seven years prior to death will not be part of the estate for calculating IHT. From 6 April 2017, the Chancellor will be introducing an additional nil rate band, known as the residence nil rate band, which will exempt the first £100,000 of a home’s value from IHT, as long as it passes to a ‘direct descendant’. The threshold will increase by £25,000 each year until 2020/21 to £175,000 and can then be applied to the balance of the value of the property. For example, John X is divorced and has a home worth £350,000 with the balance of his estate worth £75,000. He dies in May 2017 and leaves his estate to his daughter. His executors can claim the RNRB against the value of his home which brings the value of his total estate down to £325,000. The Full NRB can now be deducted so no IHT is payable. An important factor is the incorporation of a downsizing provision in the legislation. This means that if a property is sold after 8th July 2015 the RNRB is still available. To qualify for the RNRB the property must have been the residence of the deceased at some point, so buy-to-let properties will not benefit. If an individual has more than one home, then only one can attract the RNRB. For estates that exceed £2 million, even if the property is worth less, the RNRB will reduce by £1 for every £2 that the estate is valued over £2million so there will be no RNRB available for estates that exceed £2.2 million on introduction and rising to £2.35 million in 2021/21 when the £175,000 allowance kicks in. If you are married, or in a civil partnership, there is no IHT payable because of the spouse exemption. Any unused RNRB can be transferred to the surviving partner to be applied to their estate providing they die after 5th April 2017. For example: MrsYX dies on 7 April 2017 leaving her estate to her only daughter. Her husband died in 2015 leaving his share of the estate to her, meaning no IHT was payable. Her estate comprises her home, worth £700,000 and cash assets worth £250,000. The executors will be able to deduct both Mrs Y’s RNRB (£100,000) and NRB (£325,000), as well as the unused RNRB and NRB of her spouse. This means that the 40% IHT is only due on the remaining £100,000 of the estate. Given the complexity of the legislation, to benefit from new RNRB it is essential that you revisit your Will to ensure that it is drafted in such a way that allows the relief to be claimed. With prices estimated to increase by 25% over the next five years, if your estate is worth close to £2m now, lifetime planning will also be more important than ever.